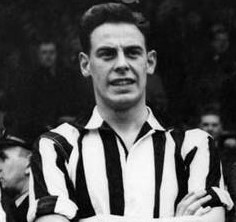 Working his way through the junior sides, Lackenby was signed on a full professional contract by Newcastle United in October 1950. 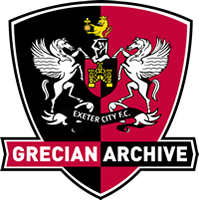 Competition was fierce for first team places and as a result he only played in 16 league matches until being signed by Exeter City in December 1956 for a fee of £1,500. Lackenby went straight into the City side to make his debut at St James’ park in a 4-2 win over Coventry City. 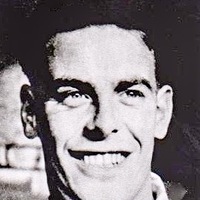 After that he only missed one match for City making a total of 24 appearances and scoring four goals in 1956-57. 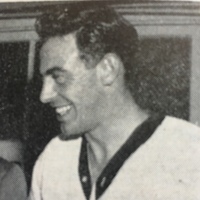 However, his stay in Devon was a short one, for in July 1957 he had returned up north to sign for Carlisle United in exchange for Ian Atkinson. His wife had failed to settle in Exeter and had returned to Newcastle to live before the end of the 1956-57 season. 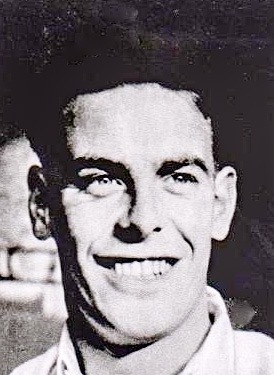 Lackenby went on to make 48 league outings for Carlisle and then after two years with the Cumbrians, was able to sign for another North East based club, Gateshead, in July 1959. He played for them in what proved to be their final season in the Football League, scoring two goals in 43 starts. He then signed for Hartlepool United in August 1960 and had two seasons there making 86 league appearances and scoring one goal. On his release by Hartlepool, Lackenby signed for Ashington. He died in 2004.